Visit Our Longtime Sponsors page! 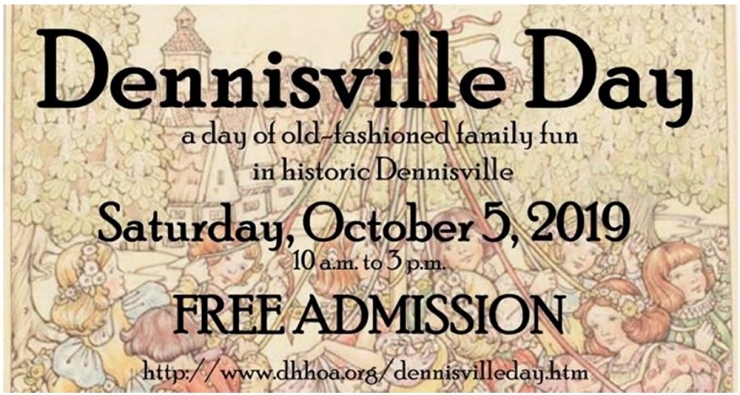 The Dennisville Historic Home Owners Association is a non profit corporation organized to study the history of Dennisville and the surrounding area and to encourage the preservation of the historic homes in the village and in the township so that future generations will be able to view them and learn about the history of the area. Originally accounting for 69 structures, the village of Dennisville is included as an historic district on both the national and state registers of historic places. In 2016 the DHHOA completed a re-survey and expansion of boundaries for the Dennisville Historic District. Please see Historic District Re-Survey Page. The association meets quarterly throughout the year at the Dennis Township Senior Center in Dennisville or on field trips to sites of historical interest. Each meeting consists of a brief business meeting followed by a guest speaker or the tour of the site being visited. Recent field trips have included: historic barn presentation at the Joseph Falkinburge House, the Sam Azeez Museum of Woodbine Heritage, the restored Whalers Cottages south of the Cape May Canal, a tour of the Cold Spring Presbyterian Church and cemetery, a tour of the Union Cemetery and the South Dennis Trinity Methodist Church in South Dennis, NJ, and a tour of the Steelmantown Cemetery in Steelmantown, NJ. 2019 DHHOA. All rights reserved.